SECRETARY CLINTON: Oh my goodness. Well, that’s quite a claim. And I won’t go that far, but I will thank Ann, Assistant Secretary Ann Stock, for her commitment to this program and so many like it that really tell a story about our values and what we think is important. And I’m delighted to welcome all of you here to the State Department. I had planned and been looking forward to being at this dinner, because you had been so well organized, you planned it far in advance, and then we worked out a date for the prime minister of Japan to come to Washington and when the White House said, “Well, why don’t you have a dinner for him at the State Department?” I said, “Well, we’ve already got this other dinner at the State Department, and I’m not about to ask them to move.” So I have to leave here to go over to the National Geographic building to host a dinner for Prime Minister Noda. 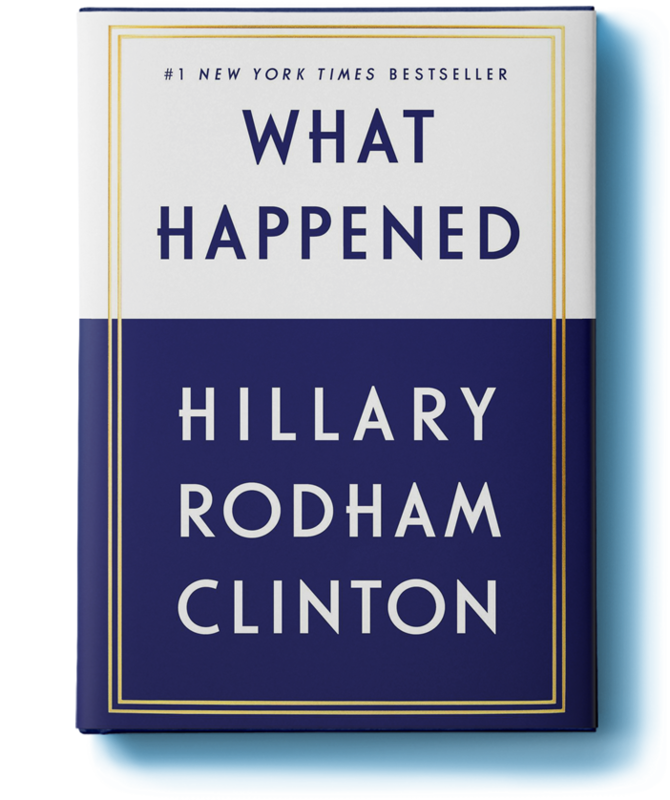 SECRETARY CLINTON: Oh, well, editor-at-large. Editor-at-large, yes, editor-at-large, sorry. But editor-at-large plus co-chairing the Most Powerful Women Summit. And I’m grateful that Fortune and the State Department have worked together for several years now on the Global Women’s Mentoring Partnership. So far we have connected 174 emerging women leaders from over 42 countries – (applause) – the West Bank, and Gaza with mentors from Fortune’s Most Powerful Women Leaders. Well, I’m excited because we have both mentors and mentees who are really stepping up to lead in the midst of historic political, social, and economic change. We have many relationships that are being created between you to spread information and inspiration at the same time. I really believe in this kind of mentoring and networking, because all too often it’s lonely out there, it’s hard out there, and you need support and guidance along the way. And for me, that’s not only important on a personal level, but I’ve seen the difference that women leaders, women activists, women citizens can make from one end of the world to the other. Now, we are trying very hard to make sure that women are at the heart of American foreign policy and national security, not just because we think it’s a nice thing to do, but because we’re convinced by the evidence that it makes a real difference. So this is a celebration, and it’s a thank you for everybody who has participated in this program, but it’s also yet one more step on the way toward trying to ensure that women and girls are given the chance to live up to their own God-given potential. So I thank you all. I’m sorry I won’t be here this evening to get to know you a little better and have some personal conversations, but for me, this is one of these events that I think has a lot of potential, because I don’t know who all is going to be in what position going forward. Now, there’s somebody special that I want to introduce. I was looking for her. Sometimes she’s hard to find in a crowd. But I want her to come here. I want Senator Barbara Mikulski to come up here – (laughter and applause) – because I want you to know Senator Mikulski – (applause and cheering) – is the longest serving woman in history in the United States Congress. (Applause and cheering.) And when I was in the Senate we called her “the Dean” because she was the dean of all the women. Now she has surpassed the longevity of all the women. And I want you, as I have to depart – I know you weren’t expecting this Barbara, but nobody expresses herself than Barbara Mikulski. I want her to give you just a little bit of an idea, because life is funny and unpredictable. Barbara was a social worker in Baltimore. And then something motivated her to be an advocate and to speak out and then to decide to run for public office. Now, earlier today, I know there was a panel that I heard about that I think Ann Stock and Assistant Secretary Roberta Jacobson and Under Secretary Tara Sonenshine were on, Barbara. And in the discussions with some of you, a number of you said well, your fathers, your brothers, your husbands are urging you to run for office, but you’re not sure you’re willing to do it because you’ll get so discouraged from the other women in your lives, that your girlfriends, your women relatives, they’re afraid for you, they’re worried about you, they don’t whether it’s a good idea. I am delighted to send greetings to all of you in Dublin. You have gathered here with an important mission in mind. There is a lot to be learned by examining the pieces that came together to achieve a peaceful political settlement in Northern Ireland.Conflict resolution and mediation is one of the most difficult issues that we have to grapple with as a society. Building trust between parties and achieving and sustaining a peaceful settlement is an onerous task. 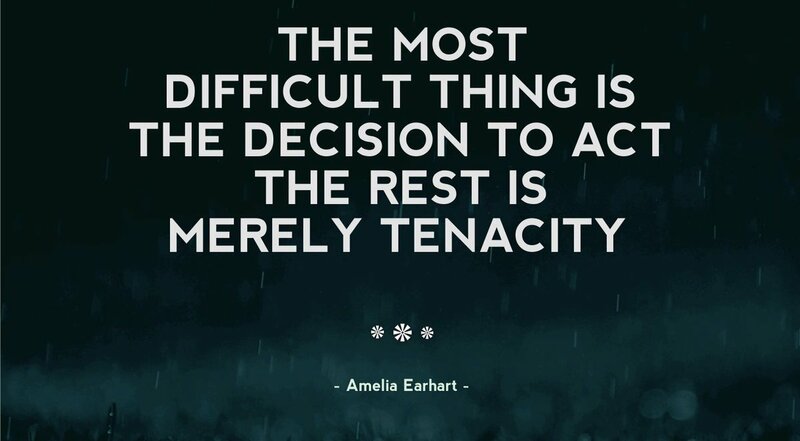 But, it is also one of the worthiest challenges that you can choose to take on. Over the course of the conference, you will engage in a series of high-level discussions involving some of the chief architects of the peace process. I hope that these discussions will inspire you. The Good Friday Agreement shows us that peace is a formidable goal, but it is an achievable one. I also encourage you to consider the important role that women play in resolving conflict. In my visits to Northern Ireland and other places around the world, I have seen first-hand how women can be powerful mediators who build coalitions and foster compromise. I admire your resolve in tackling these challenges, and I look forward to learning about what you discover throughout the course of this conference. Good luck. 11:40 a.m. Secretary Clinton joins President Obama’s bilateral meeting with Japanese Prime Minister Yoshihiko Noda, at the White House. 12:40 p.m. Secretary Clinton attends President Obama’s working lunch with Japanese Prime Minister Yoshihiko Noda, at the White House. 3:00 p.m. Secretary Clinton participates in the U.S.-Philippines ministerial dialogue 2+2 meetings with Defense Secretary Leon Panetta, Foreign Secretary of the Philippines Albert del Rosario, and Defense Secretary of the Philippines Voltaire Gazmin, at the Department of State. 4:15 p.m. Secretary Clinton holds a joint press availability with Defense Secretary Leon Panetta, Foreign Secretary of the Philippines Albert del Rosario, and Defense Secretary of the Philippines Voltaire Gazmin, following U.S.-Philippines ministerial dialogue 2+2 meetings, at the Department of State. 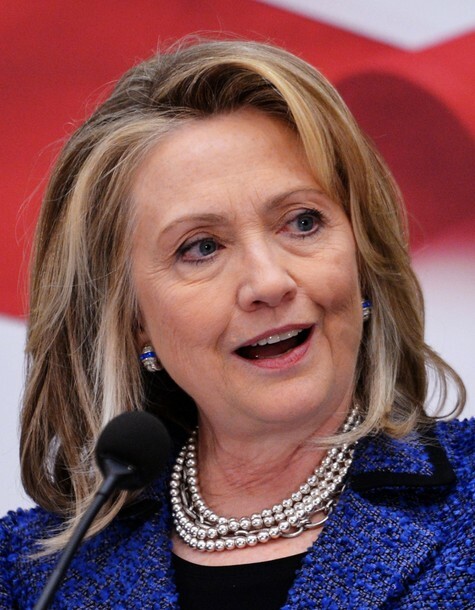 6:00 p.m. Secretary Clinton attends a reception for Fortune’s Most Powerful Women, at the Department of State. 7:00 p.m. Secretary Clinton hosts a dinner for the Prime Minister of Japan Yoshihiko Noda, at National Geographic, in Washington, DC. Please click here for more information. 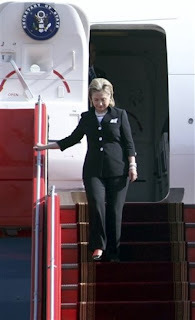 PM Secretary Clinton departs on foreign travel. Please click here for more information. 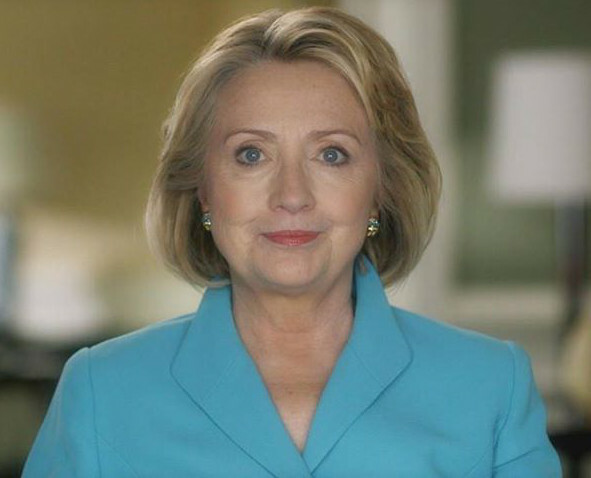 On Monday, April 30, Secretary of State Hillary Rodham Clinton will kick-off the seventh annual Fortune/U.S. State Department Global Women’s Mentoring Partnership at the U.S. Department of State, which brings 25 emerging women leaders from Bangladesh, Bosnia and Herzegovina, Brazil, Burma, China, Colombia, Egypt, India, Iraq, Kazakhstan, Kenya, Lebanon, Nigeria, Poland, South Africa, Tunisia, and Zimbabwe to the United States from April 29 – May 25, 2012. This public-private partnership, which is conducted in coordination with the Vital Voices Global Partnership, connects emerging international women leaders with one of Fortune’s Most Powerful Women Leaders to encourage the next generation of women leaders to bring positive change to their companies and communities. The program opens with a three-day orientation in Washington, D.C. where participants will meet with senior women in government, academia, and business. The second phase of the program pairs each of the international participants with one or more of Fortune’s Most Powerful Women leaders for a three-week mentoring program, where they will share skills and experiences. The program will conclude with a two-day debriefing in New York City, where participants attend workshops on media and communications strategies and meet with senior executives from New York-based companies. During this program, Fortune’s Most Powerful Women Leaders will share their time, talent, and expertise in business and leadership with the international emerging women leaders. This year’s mentors include: Linda Addison of Fulbright & Jaworksi, LLP; Ellen Alemany of Citizens Financial Group, Inc.; Molly Ashby of Solera Capital; Tory Burch of Tory Burch LLC/Tory Burch Foundation; Antoinette “Toni” Cook Bush of Skadden, Arps, Slate, Meagher & Flom LLP; Kathy Bushkin Calvin of the United Nations Foundation; Christa Carone of Xerox Corporation; Susan Chambers of Wal-Mart Stores, Inc.; Pamela Craig of Accenture; Weili Dai of Marvell Technology Group Ltd.; Shelley Diamond of Young & Rubicam, Inc.; Gerri Elliott of Juniper Networks, Inc.; Lauren Flaherty of Juniper Networks, Inc.; Stephanie George of Time Inc.; Anna Griffin of Juniper Networks, Inc.; Kimberly Kadlec of Johnson & Johnson; Jacki Kelley of Universal McCann; Phyllis Korff of Skadden, Arps, Slate, Meagher & Flom LLP; Laura Lang of Time Inc.; Marissa Mayer of Google, Inc.; Ashley McEvoy of Johnson & Johnson; Martha McGarry of Skadden, Arps, Slate, Meagher & Flom LLP; Deborah McWhinney of Citigroup Inc.; Donna M. Milrod of Deutsche Bank AG (DB); Pat Mitchell of The Paley Center for Media; Kathleen Murphy of Fidelity Investments; Karen Peetz of BNY Mellon; Kim Perdikou of Juniper Networks, Inc.; Dina Habib Powell of The Goldman Sachs Group, Inc.; Liz Robbins of Liz Robbins Associates; ; Jennifer Taubert of Johnson & Johnson; Roxanne Taylor of Accenture; Bridget Van Kralingen of IBM Corp.; Sherrie Rollins Westin of Sesame Workshop; Susan D. Whiting of The Nielsen Company; and Pontish Yeramyan of Gap International. 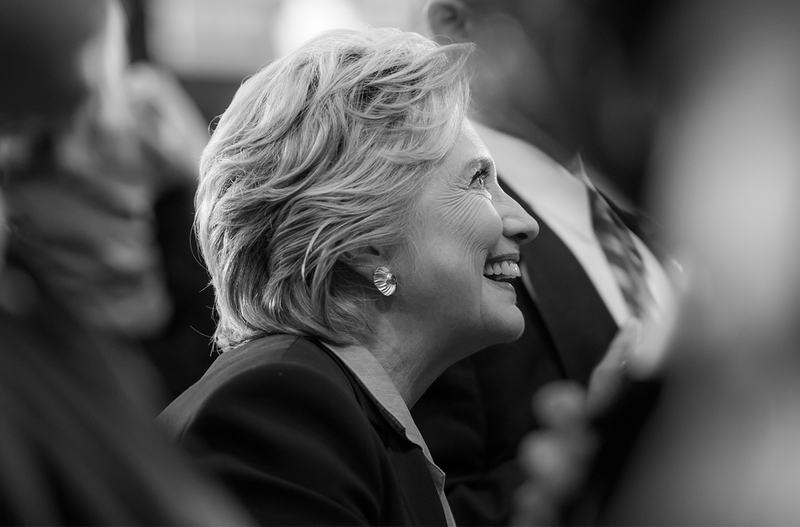 On April 30, Secretary Hillary Rodham Clinton will host a dinner for Prime Minister Yoshihiko Noda at National Geographic in Washington, D.C. Secretary Clinton and Prime Minister Noda will discuss a range of bilateral, regional, and global issues and will celebrate the enduring people-to-people ties between our two nations. They will highlight efforts such as the TOMODACHI initiative, Japan’s Kizuna Project, and will announce a new gesture of friendship between our countries. Secretary Clinton and Prime Minister Noda will also be given a private tour of the “Samurai: The Warrior Transformed,” an exhibit currently on display in the National Geographic Museum. 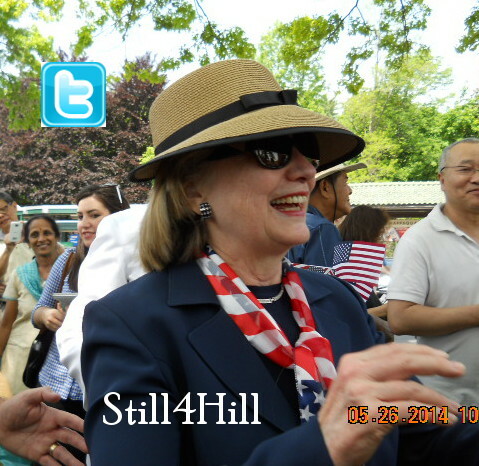 The dinner will begin at approximately 7:00 p.m.
Secretary of State Hillary Rodham Clinton will travel to China, Bangladesh, and India departing Washington, D.C. on April 30. 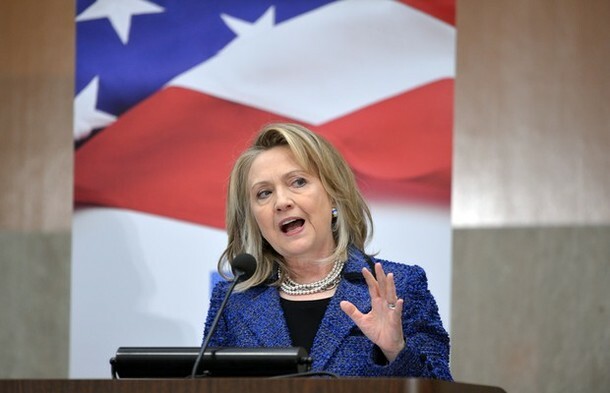 In Beijing May 3-4, Secretary Clinton and Treasury Secretary Timothy F. Geithner will join their Chinese co-chairs, Vice Premier Wang Qishan and State Councilor Dai Bingguo, for the fourth joint meeting of the U.S.-China Strategic and Economic Dialogue (S&ED). As with earlier S&EDs, this year’s event will be a “whole of government” dialogue that brings together cabinet members and agency heads, as well as other officials and experts, from agencies across both of our governments. In addition, Secretary Clinton will co-chair with Chinese State Councilor Liu Yandong the third U.S.-China High-Level Consultation on People-to-People Exchange (CPE) taking place May 3-4 in Beijing. The CPE aims to enhance and strengthen ties between the citizens of the United States and China in the areas of culture, education, sports, science and technology, and women’s issues. The Secretary will then travel to Bangladesh and India from May 5-8, making stops in Dhaka, Kolkata, and New Delhi. In Dhaka, Secretary Clinton will meet with senior government of Bangladesh officials and civil society representatives to review robust U.S.-Bangladesh cooperation across the full range of political, economic, and security matters. In Kolkata, the Secretary looks forward to meeting state officials and other civil society organization representatives. 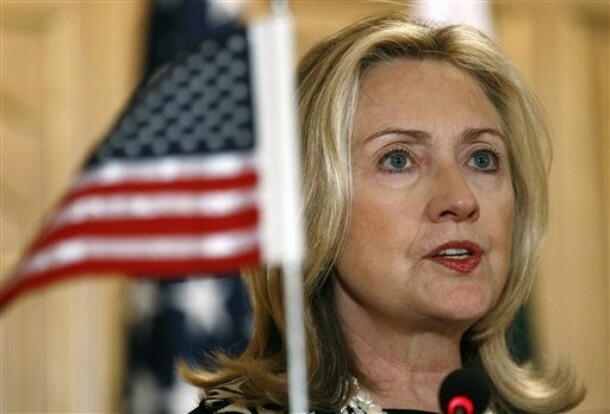 In New Delhi she will meet with Indian government officials to review progress in the strategic partnership, looking forward to the U.S.-India Strategic Dialogue to be held in Washington, D.C. on June 13 and to be co-chaired by Secretary Clinton and Indian Minister of External Affairs S.M. Krishna. Well, thank you very much, Tina. And thank you for the work that you do and the bureau does and the impact that it continues to make. I’m very pleased to join with all of you today. I want to welcome Ambassador Szapary and Ambassador Simonyi – former Ambassador Simonyi, other distinguished guests, and in particular, just a few of the extended Lantos family members. But I would like the Lantos family members, in particular her – Annette’s daughters, “little” Annette and Katrina, and the other members of the family just to stand so that we can recognize you. (Applause. )I used to tell Tom and Annette all the time that their beautiful family, which I always received a picture of for the holiday season, was the single-best rebuke to the Holocaust perpetrators, and I used to keep that picture until I got a new one every year. In particular, one where everybody was in white was a very good – a favorite of mine. And I also want to especially recognize Tomicah Tillemann, who is our very able and effective first-ever coordinator of our outreach to civil society around the world. We talk a lot about how we work with governments; we are increasingly trying to find creative ways to work with the private sector and with civil society, and Tomicah’s been at the forefront. As we gather here today in the well-named Marshall auditorium for George C. Marshall to remember the millions of Holocaust victims and the courage of those who worked to save them, I’m reminded of the words of the great Hungarian novelist, Imre Madach. History, he said, portrays “good and evil in such vast proportion that both appear miraculous.” Well, there were few stories that illustrate that truth more vividly than the lives of Tom and Annette. And we particularly miss Tom today, Annette. Growing up in Budapest in the 1930s, Annette Tillemann’s parents ran a successful jewelry store, and she was their only adored daughter. Being the mother of an only adored daughter, I understand that. She wasn’t just adored; she was kind of adorable too. In fact, she won Hungary’s national Shirley Temple lookalike contest – (laughter) – when she was a little girl. She had a childhood sweetheart, a very precocious young man named Tom Lantos, whom she met when she was six. Life could not have been sweeter for her and her family. They were secure; they had a loving family; they were surrounded by friends; they were pillars of their community. But as fascism spread across Europe, Annette’s father was conscripted into a forced labor battalion. New laws limited Jews’ access to many parts of Hungary’s social and economic life. Then, in March 1944, Nazi forces occupied Hungary. In the course of a few months, almost 500,000 of Hungary’s 800,000 Jews were deported to Auschwitz or shot by roving bands of fascist thugs. By late 1944, almost every Hungarian Jew outside of Budapest was dead. Amid this storm of hatred and evil, a young Swede accepted a special mission. Raoul Wallenberg was not a traditional diplomat. He had studied architecture in the United States; he had held a series of jobs in business. There was nothing in his background that would have marked him as one of the great heroes of the 20th century. But when the United States War Refugee Board approached him about traveling to Budapest to try and save the largest remaining concentration of Jews in Europe, Wallenberg answered that call. Amid so many missteps responding to the Holocaust, sending Wallenberg to Hungary was one of the things we got right. When he arrived in July of 1944, thousands of Hungarian Jews were being killed or deported every day. Employing a combination of courage, creativity, and chutzpah, Wallenberg went to work immediately. He began distributing papers to thousands of Jews stating that they were under the protection of the Swedish crown. From a legal standpoint, these so called “protective passports” were a complete fiction. But amid the chaos and miscommunication of war, they worked. When Wallenberg saw that the documents were saving lives, he persuaded other diplomatic missions in Budapest to issue them as well. With bullets flying all around him, he leapt onto deportation trains and, like a hand reaching into the grave, pulled people out of the box cars, carrying them to safety. He bought up large apartment buildings with funds from the United States, posted oversized Swedish flags outside, filled the rooms with Jews, and claimed that premises were under Swedish protection. He threatened German commanders with postwar prosecution if they went through with plans to blow up the Jewish ghetto. In almost every action he took, Wallenberg vastly exceeded his diplomatic orders. He subverted the bureaucracy. He shredded protocol. And thank God he did. When Annette’s childhood sweetheart, Tom, escaped from a forced labor camp for the third time, he, like thousands of others, found refuge in one of Wallenberg’s safe houses and survived the war. Annette received a protective passport issued by the Portuguese and escaped out of Hungary with a group of diplomats from their embassy as the frontlines advanced toward Budapest. The danger didn’t end there, however. On Christmas Day 1944, as a lone 13-year-old girl, she had to sneak past armed soldiers and across a no man’s land before swimming an icy river to reach the relative safety of Switzerland. Now, many Jews, along with countless others – the Roma, the physically and mentally handicapped, homosexuals, dissidents, adversaries to the Fourth Reich – they were not so fortunate. And many members of Annette’s family were killed. As we gather today, we remember them, and the millions of innocent mothers, fathers, sons, and daughters who fell victim to Nazi extremism. But we also take hope in the example of Raoul Wallenberg and other rescuers, some of whose names we know – Carl Lutz, Oskar Schindler and Corrie Ten Boom, and others whose names we are still learning. I want to emphasize that none of these heroes and heroines worked alone. People may have carried different titles in 1944, but people like Wallenberg had supporters within the institutions. He had program officers and accountants who helped him purchase safe houses; consular officers who assisted in issuing protective passports; motor pool drivers who helped him carry people to safety; policymakers here in Washington who had the vision to send him there in the first place. So no matter what it might say on whatever job description we have now or in our futures, each of us can do more. Each of us can be part of that chain of humanity that stands for the very best that we can be. We’re striving to do that in our foreign policy, and on Monday, President Obama outlined our new efforts to prevent mass atrocities. We’re working through UNESCO to spread Holocaust education to Africa and Asia. We’re working with other groups to try to combat extremism. It doesn’t matter where it comes from. If it’s rooted in ideology or it’s rooted in religion or it’s just rooted in a perverse drive for power, whatever the reasons, we have to stand against it. And Annette’s life after the war provides a case study into how you could apply the lessons of the Holocaust. When the fighting ended, she came to the United States and married Tom. She built a new life in California, but she always remembered Raoul Wallenberg and her experience in Hungary. Wallenberg disappeared into the Soviet prison system after being arrested by the Red Army. Annette started lobbying President Carter and the Soviet Union for answers about his fate, even peppering President Carter with questions about the case on a radio call-in show. When Tom became the only Holocaust survivor elected to Congress ever, she helped him pass legislation making Wallenberg the second honorary citizen of the United States after Winston Churchill, hoping it would expand our ability to find out what happened to him. Annette also worked to persuade Tom, who didn’t need a lot of persuading, to create the Congressional Human Rights Caucus. And she spent decades as its unpaid executive director. From Darfur, to Tibet, to Bosnia, to Burma, now to Syria, we need her voice and all of our voices speaking up about every major human rights case. And when Tom passed away in 2008, Annette vowed to continue her advocacy and founded the Lantos Foundation for Human Rights. So we welcome Annette today not only as a survivor who overcame the evil of the Shoah, but as someone who met that evil with good, who tried always to remember how fortunate she was to have survived, and felt called to continue the work that so many had done to make her survival possible. It is perhaps miraculous, but it shouldn’t be. We have to contest with good and evil every day. It’s part of the work that I do. 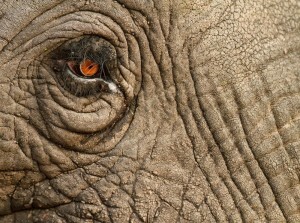 We have to figure out ways to support those who are facing great dangers, who are standing up for human rights, and we have to think of ways to outsmart and to stop and prevent those who pursue their own agendas and try to justify what they do, but who cannot escape the label of being evil by anyone with a conscience.